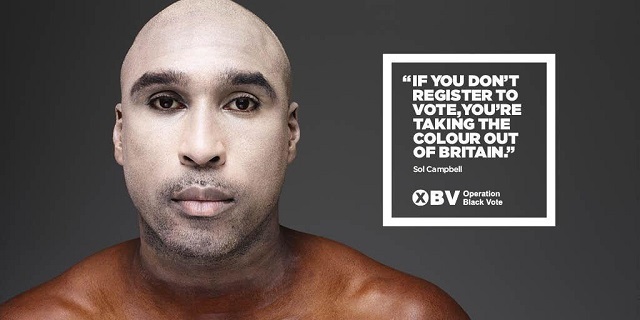 A bold and provocative new campaign by Operation Black Vote features black celebrities — including Tinie Tempah and Sol Campbell — painted white to encourage minority ethnic group voters to participate in the upcoming general election — and crucially to register to vote by the 20 April deadline. Headlined ‘Don’t take the colour out of Britain’, the poster campaign aims to shake up complacency with startling images that invert the bygone but still offensive practice of ‘minstrelling’ — something that was also cleverly lampooned in the recent London stage hit The Scottsboro Boys. In the posters, music star Tinie Tempah is painted white from the neck down, while former England football captain Sol Cambell is white from the neck up. Other celebrities to take part are Homeland actor David Harewood and Paralympic basketball champion Ade Adepitan. 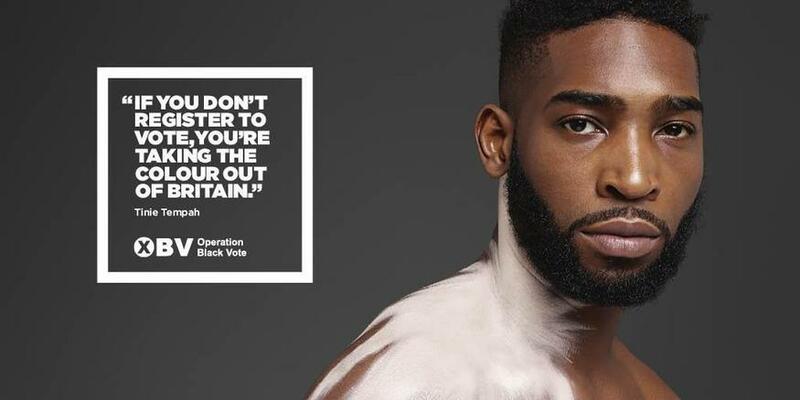 Campaign director Simon Woolley told Londonist: "The campaign has received a huge amount of publicity already because of the controversy caused by black celebrities 'whiting up', a metaphor now understood by a large audience in London and beyond." "That metaphor is that this country's public life and political institutions lose their colour, diversity, energy and dynamism without the active participation of our black and minority ethnic population. This message is particularly important in the run up to the May 7 general election." 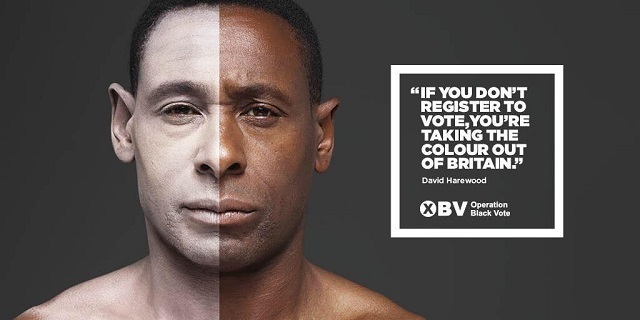 "The deadline to register to vote is Monday, April 20, and the OBV campaign is designed to increase the number of BME people who are registered to vote as currently they are under-represented. As a consequence their voice is not heard and the issues that are important to them are not addressed." 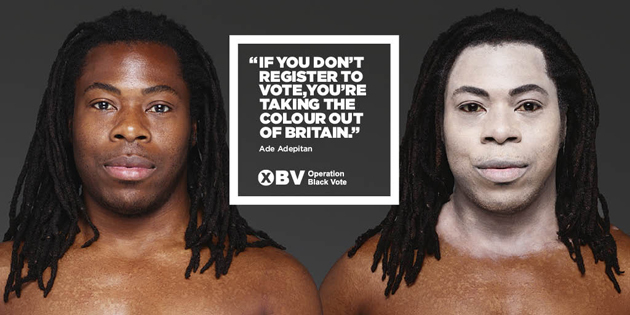 According to OBV, “black and minority ethnic groups could affect the outcome in 168 marginal seats.” Along with raising awareness, the group has also developed a handy smartphone app that allows you to register your entire family and local neighbourhood to vote on your phone — for more info click here. The photos were taken by Rankin with Saatchi & Saatchi producing the campaign.